I can’t believe First Mate is already a year old. 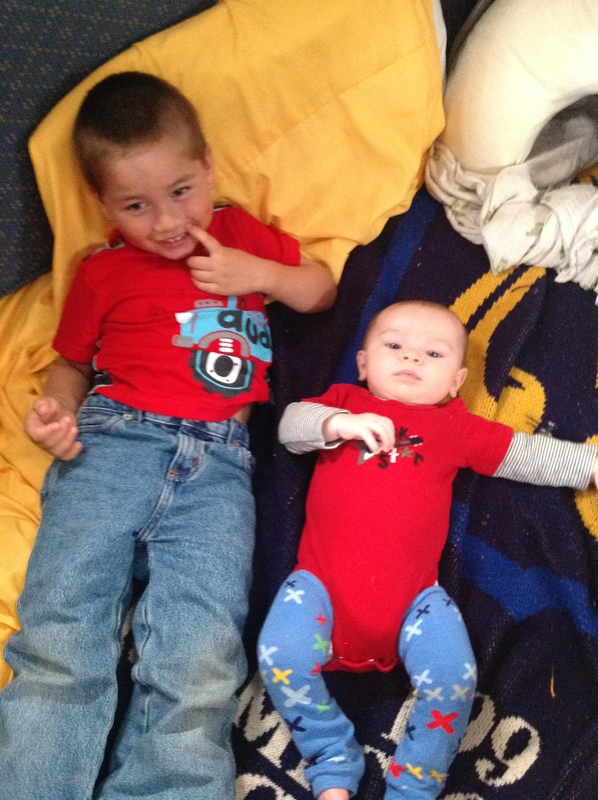 Where does the time go?!?! I spent a great deal of research, thought, discussions leading to infant items to have on a boat. Now that First Mate is one, this list has changed. I have sold a few of my infant items that First Mate has grown out of or doesn’t like and there are new items that I want you to consider. 1. Baby carrier. A cool, breathable one if you live in a warm climate. We own a Performance Ergo that is lighter in weight than the original Ergo. This is nice because it is not too hot for First Mate (or me). I bought this Ergo ages ago for Capt’n in Training before I knew of other brands. 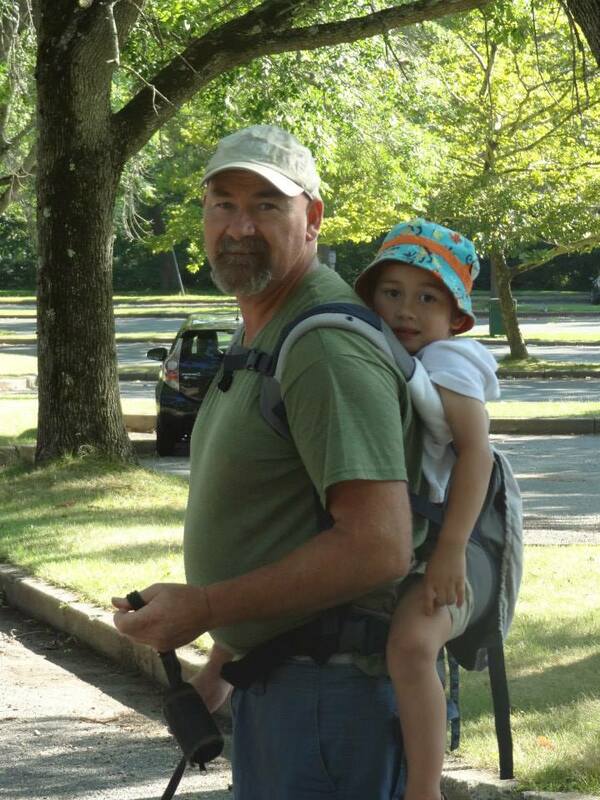 I am actually in the market for a new carrier since the Ergo is definitely showing wear and I am considering a Tula and Kinderpack. 2. Good quality umbrella stroller. 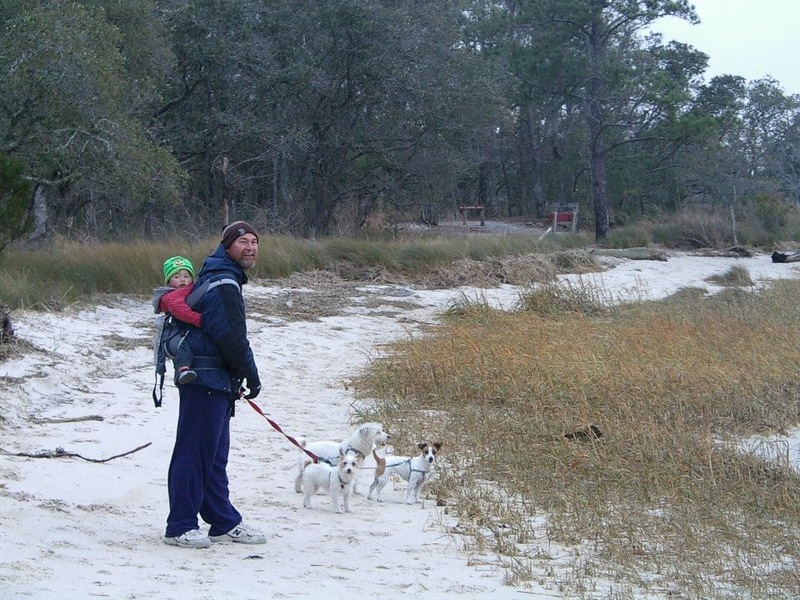 Although I wear First Mate a lot, there are times when I really need to use a stroller. I love umbrella strollers. They are lightweight, compact, and can have just as many options as a full size stroller. I had a Maclaren Volo stroller with Capt’n in Training but it got damaged during hurricane Sandy, so I recently bought a Bumblebee convertible stroller. 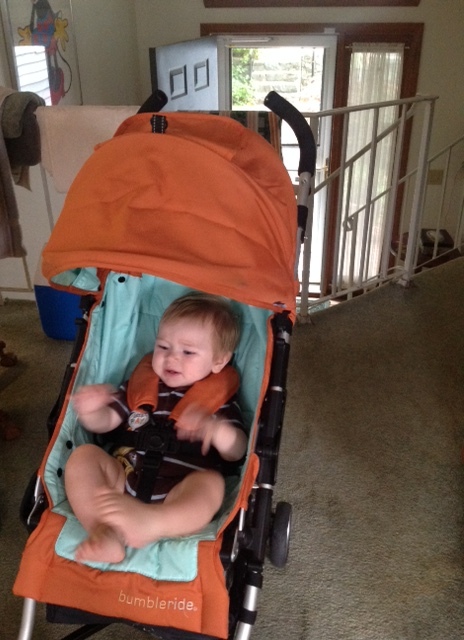 After using both strollers, I actually prefer the Maclaren. The Maclaren is easier to maneuver and fold than the Bumblebee. 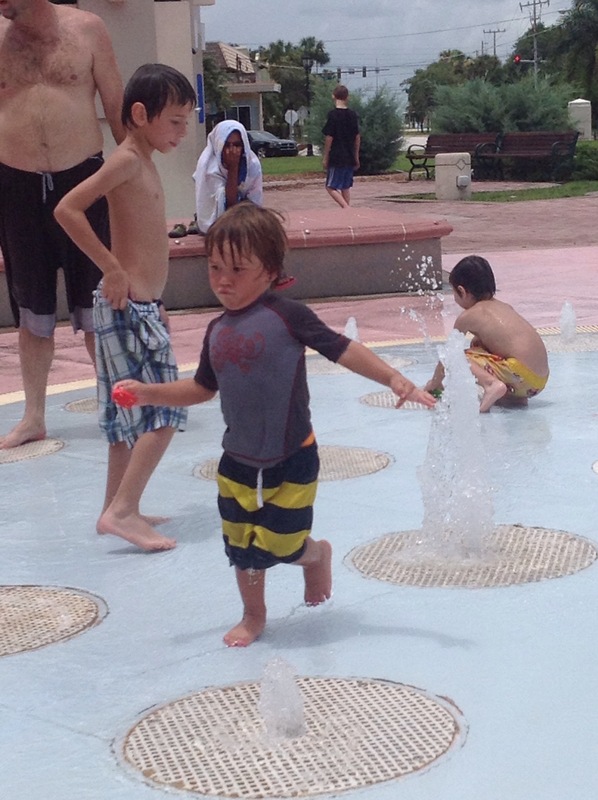 The Maclaren Volo is partly made of mesh so it is highly breathable, which I love in the warm climates. The Bumblebee i made of a really nice fabric and I love the colors but has recently gotten moldy from the cool and damp Florida winter. I also found that the Maclaren is is easier to maneuver than the Bumblebee. The Bumblebee frequently gets stuck and is difficulty to turn. However, I do not like that the Maclaren Volo does not recline.This is a big issue for me since First Mate will often fall asleep on long walks. I love that the Bumblebee reclines almost flat and First Mate will sleep soundly in that position. Since we keep the stroller on the deck of the boat, I would like one that is made of UV resistant fabric and that is rust resistant. 3. Swing. We have one of those Little Tyke plastic swings. Yes, they are made for the outside, but we have hooked it up to use inside the boat. 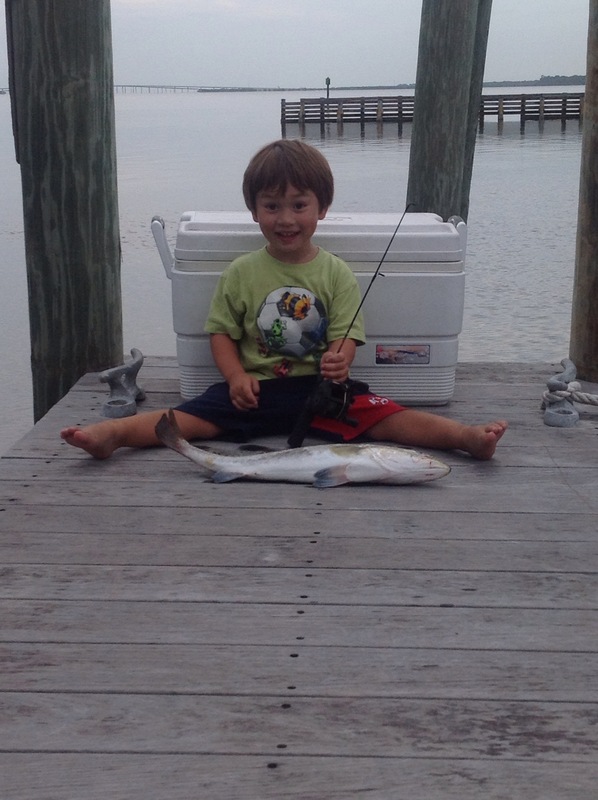 First Mate loves it. Capt’n in Training even likes pushing First Mate on the swing. This keeps First Mate occupied if I am mopping the floor or working on a hot stove. 4. Feeding booster seat. This booster seat can be used for feeding time or to secure to the cockpit for sailing trips. I love it. They are inexpensive (which is a bonus), made of plastic so they will not rust, lightweight and portable, which are all great adjectives for items on a boat! 5. Stainless steel feeding items. We are trying to reduce the use of plastic in our family. While glass is a great alternative to plastic, it is not realistic for our lifestyle. So I have turned to stainless steel. I purchased for Capt’in in Training an Ecovessel water bottle, which he loves. It is blue and has sharks on it, which makes it even better. You can purchase these through Ecovessel’s website, Amazon, but we bought this water bottle from REI. The only downfall is that it is not insulated. Next time around I would love to buy an insulated water bottle. 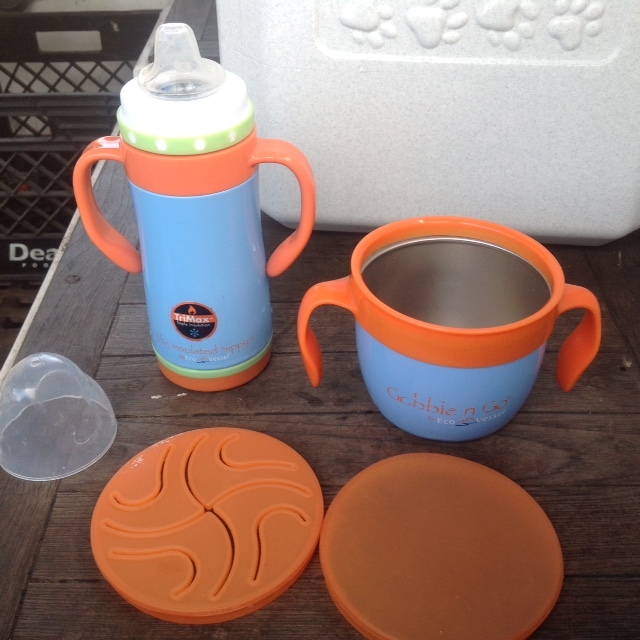 I purchased two insulated sippy cups from Ecovessel for First Mate: one for water and one for milk. First Mate loves these sippy cups. The top is a Nuby brand silicon mouth, the handles are made of plastic, but the liquid container is made of triple insulated stainless steel. We love them. They are super easy to clean and keeps beverages cold. For snacks I bought an Ecovessel stainless steel snack cup. This cup comes with two silicon tops. The first one has slits in them so the child can stick their hand through to retrieve snacks. The second top is solid to keep snacks fresh, and for travel. We used the plastic version for Capt’n in Training. I love the idea of having the child self feed while keeping a mess to a minimum. However, First Mate has managed to remove the top of the cup, thus creating a mess every time he eats from this cup. I still love and use the cup daily, so I simply turn my head to the mess and let the dogs clean it up! 6. Life jacket and harness. 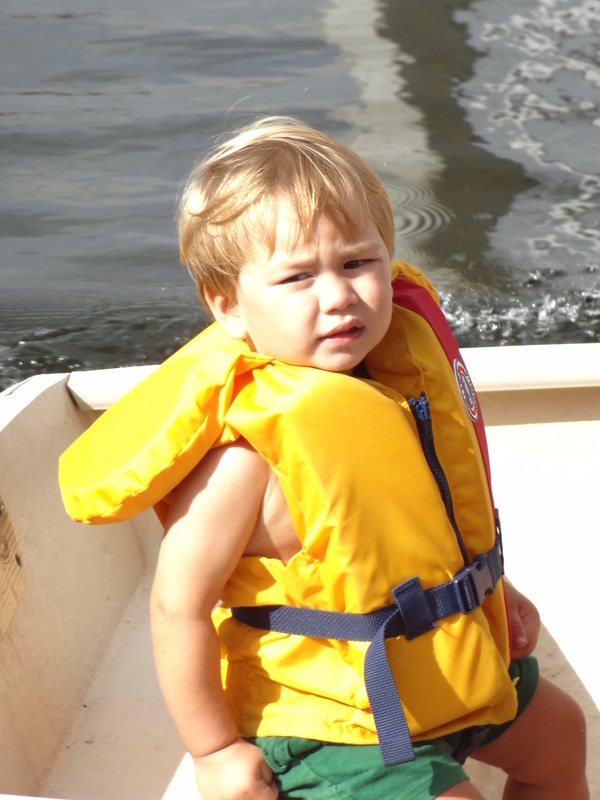 I can’t stress enough the importance of a child’s harness and proper life jacket for sailing with children. 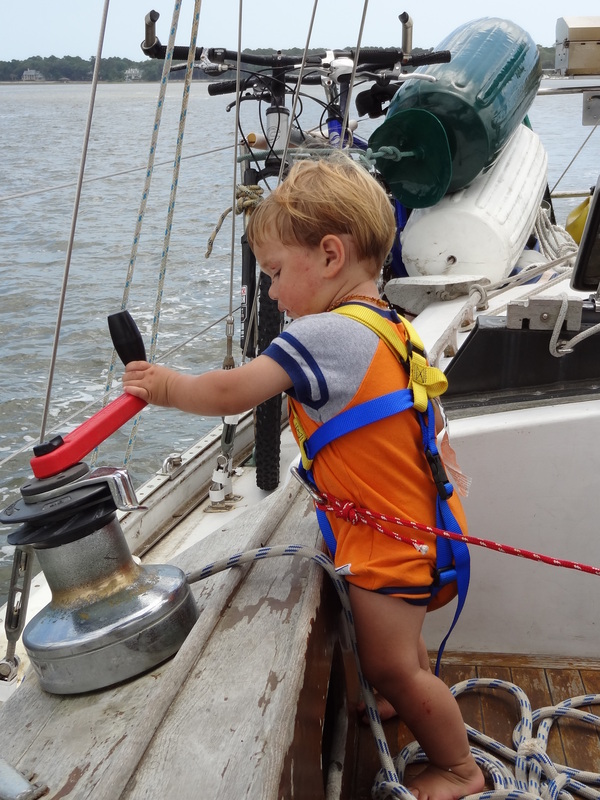 We purchased a West Marine children’s harness and attach it to the children when we are under motor in the ICW. I am also a huge proponent of life jackets (pfd) with a collar. God forbid your child falls in the water, but if they do, the collar will make sure they face with their head up rather than face down in the water. 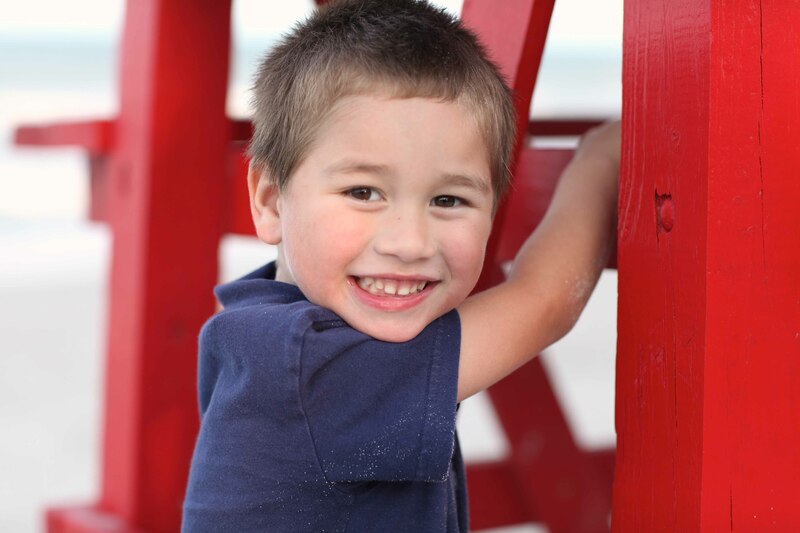 What are some toddler items you can’t live without? Capt’n and I were reminiscing the other day about our trips to the Bahamas. We began looking at photos and he suggested I post some photos here. There were so many photos to choose from! But I restrained myself and posted only nine. Enjoy. This panoramic photo was taken at Little Harbour. 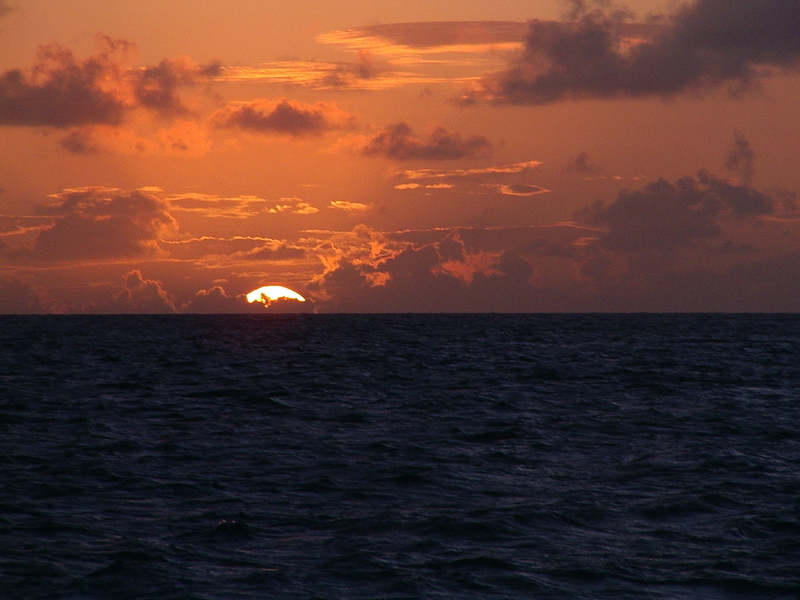 A sunset at an anchorage in the Bahamas. The wrecking bar. 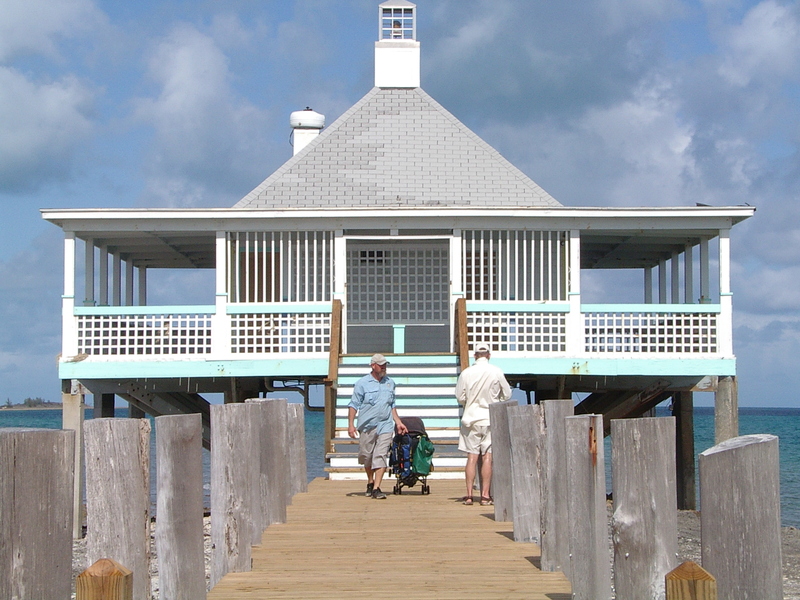 I “think” this photo was taken at Spanish Cay in the Abacos. 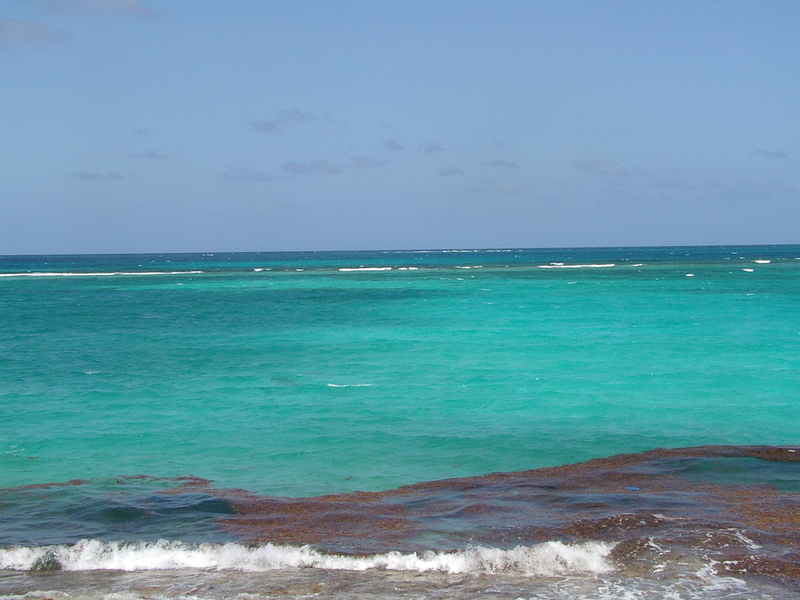 A beach at Green Turtle Cay, Abacos. 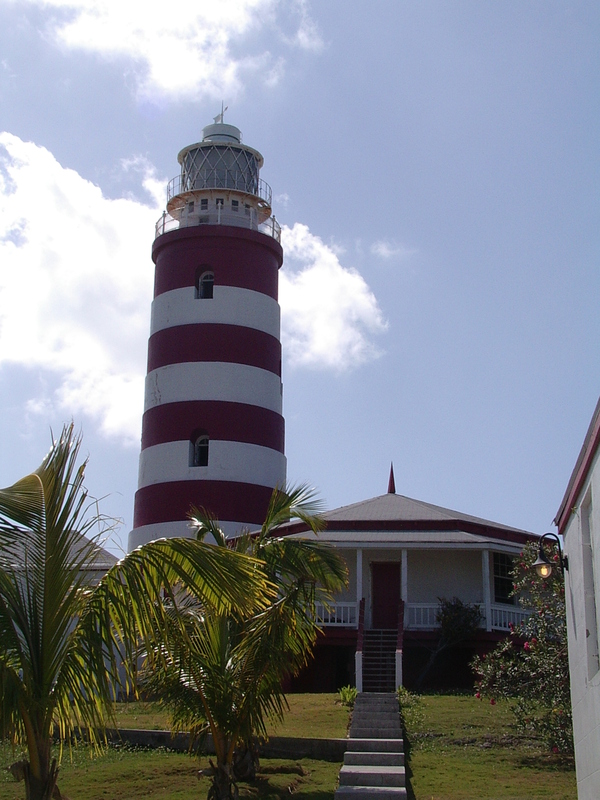 Hope Town Lighthouse, Hope Town, Abacos. 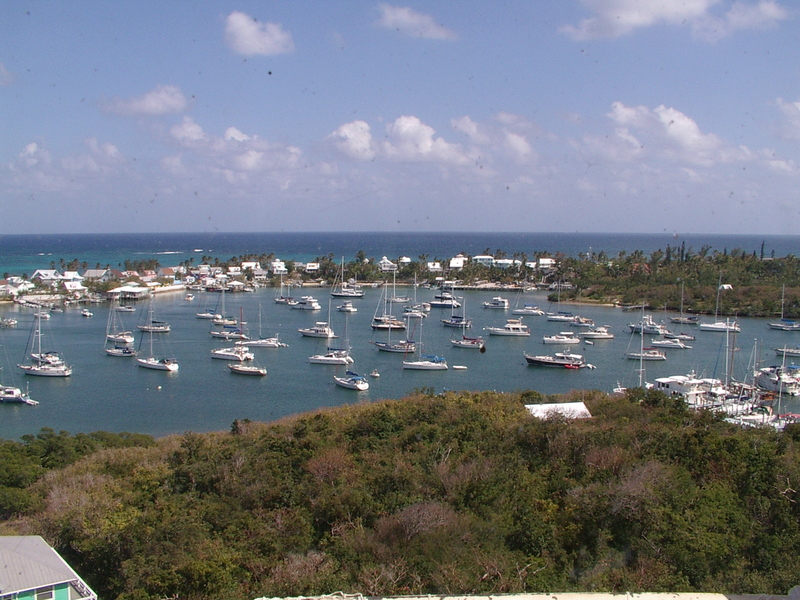 Hope Town mooring field, taken from the top of the Hope Town lighthouse, Abacos. 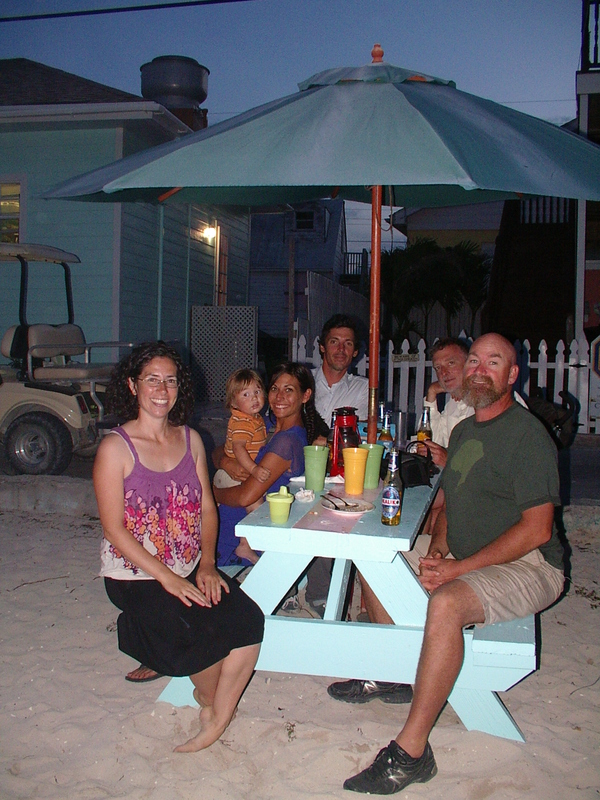 Yummy lobster dinner with good company at Green Turtle Cay, Abacos. Capt’n and I had talked for ages about dehydrating food for the boat. For us, there are many benefits to dehydrating food. Dehydrated food lasts a lot longer than fresh food, which is good for sailing long passage or if we are in remote areas with no access to stores. Dehydrated food takes up a lot less space than their hydrated counterpart. This is a big advantage since storage space is at a minimal on a boat. Dehydrated food is expensive. Who doesn’t love some dehydrated apples or pineapples? If you go to the store you will find that dehydrated foods are pretty costly, and they also may have sugar or preservatives added to the fruit. In the end, there may actually be very little “fruit” ingredient at all. However, there is a problem with dehydrating food on the boat. Namely we don’t have a dehydrator. I have read about dehydrating food using an oven. I believe I would have to run the oven about 12 hours for each batch of food. We have a propane oven and the cost of having the oven on for 12 hours plus the heat the oven would bring in the boat made this option impossible. Luckily we were discussing our dehydrating idea to some people at church who own a dehydrator and graciously let us borrow it for two weeks. So two weeks this summer I did nothing but buy food, prep food, dehydrate food, and package food. I was so thankful to use this dehydrator but also glad to return it. I didn’t realize dehydrating took so much work. The dehydrator we used was a Nesco Professional Food and Jerky Dehydrator (http://www.nesco.com/products/Dehydrators/Dehydrators/FD-75PR-5-Tray-Snackmaster-Pro-Food-Dehydrator/). This dehydrator is a circular style dehydrator that comes with five trays. Our friends bought additional trays and I think there were nine trays in total. Overall, I was pleased with this dehydrator. 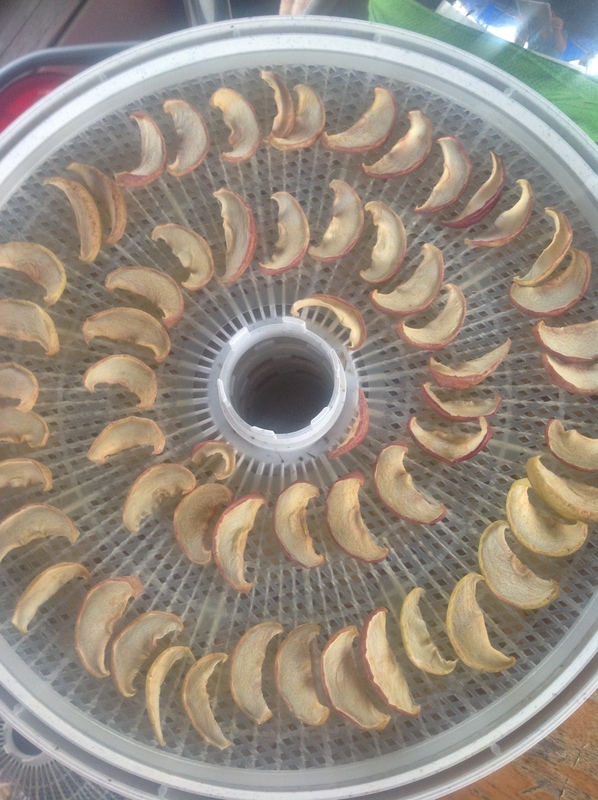 The dehydrator did its job, meaning the food became dehydrated. I did have to baby the dehydration process a little bit. The dehydrator fan is at the top of the dehydrator so naturally the food on the upper trays would dry out faster than the food on the lower trays. In addition, the food closer to the center would dry out faster than the food on the edge of the trays. So a few times during the dehydrating process I would rotate the trays and move the food around from the middle to edge of each tray. The dehydrator does take up a bit of space and space is another thing we don’t quite have a lot of on a boat. Capt’n rigged up an extension cord to the cockpit and I put the dehydrator in the cockpit for the two weeks of dehydration. If we didn’t have the dehydrator in the cockpit I don’t know if I could have dehydrated because I would not have counter/prep space in the galley. Prepping the food was also a time consuming process. I say time consuming because when you have a three year old and a six month old anything that takes more than 10 minutes is time consuming. I would have to wash, core, peel, slice, cut pounds and pounds of fruit and vegetables to dehydrate. I would go to the produce store every other day to stock up on fresh produce. As for veggies, I also went the route of buying frozen vegetables to save time. After we dehydrated the fruit and veggies we vacuum sealed them to retain freshness. We labeled the contents of each bag and the date that we vacuum sealed the dehydrated produce. I am not an expert at dehydrating or rehydrating the food, so tried to cook meals using the dehydrated veggies. I made a stir fry using the dehydrated vegetables (and rice). I did not tell Capt’n that I used dehydrated veggies. After the meal I told him and he said that the veggies rehydrated nicely. I also used some of the veggies in soups. As for the fruit, I have always loved dehydrated fruit so it was actually hard for me not to eat it all while I was dehydrating them. I love the way they apples and watermelon turned out. Although this project was a lot of work and wasn’t cheap, it was well worth the effort knowing we have a small stock of dehydrated produce for future sailing voyages. 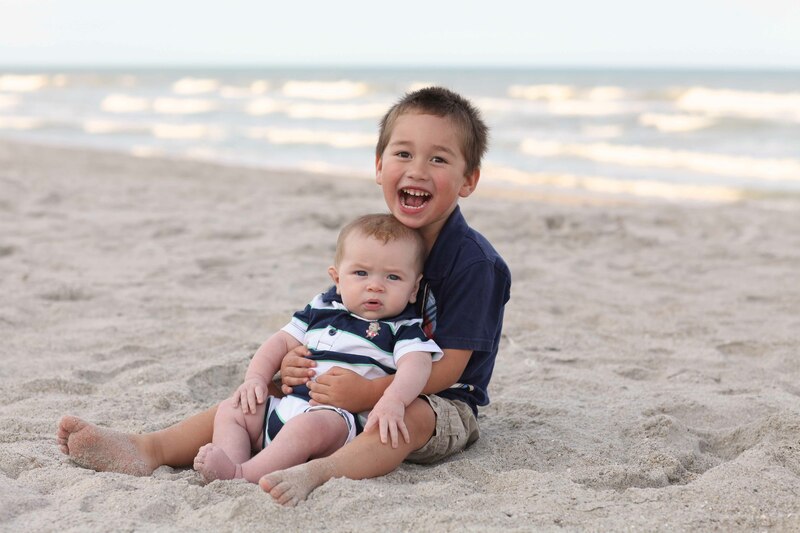 It is amazing how fast time goes by when taking care of a three year old boy and his newborn brother! 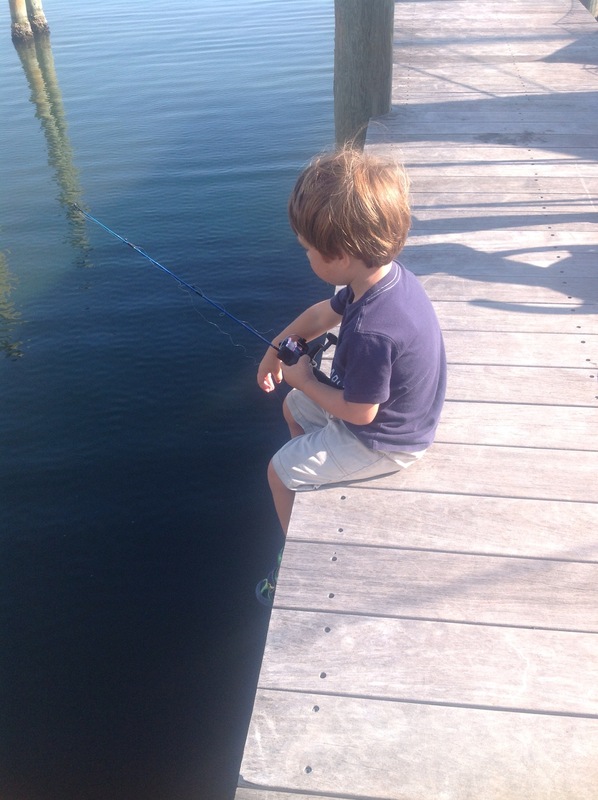 I can’t believe that First Mate is already four (almost five!) months old…And that it has been four months since my last post. 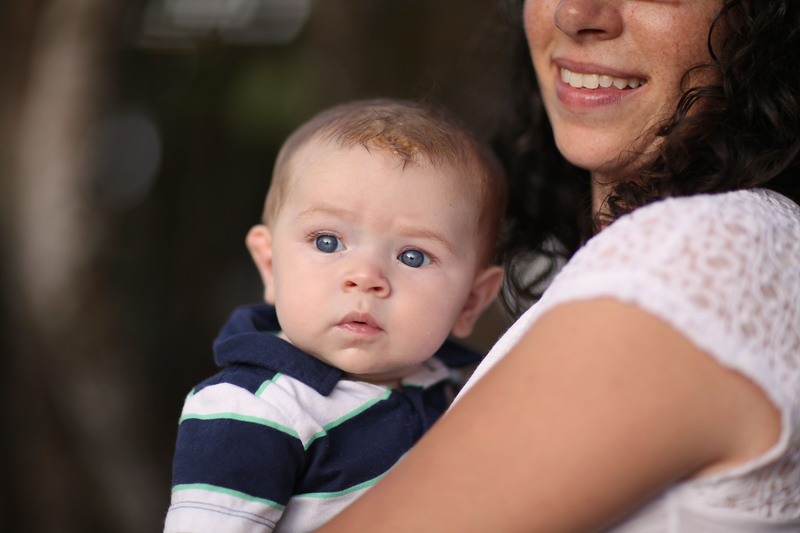 Since we are not sailing at the moment, and have our boat docked at a marina, taking care of a newborn on a sailboat is not that much different than taking care of one in a very small apartment. At the end of the day I also weighed in, would I rather have an uncluttered boat, or does First Mate really need this item and having a cluttered boat is worth it? So here is my list of items that I think that First Mate needs on a sailboat. Now I realize that trawlers, yachts and catamarans have more space and you may not need to think like I am. But we live on a 42 foot mono hull sailboat that is 13 feet at its widest point so space is the number one consideration with anything to do on this boat. 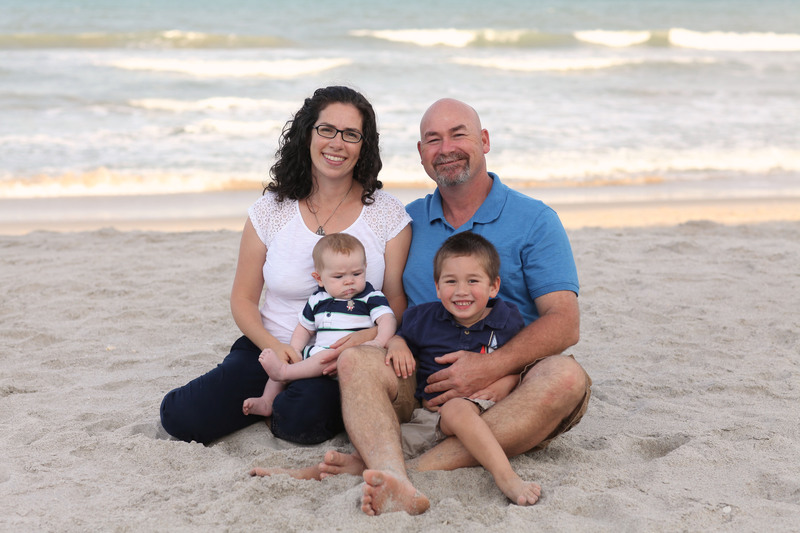 Portable and pack able is the name of the game here when stocking a sailboat with newborn/infant items. 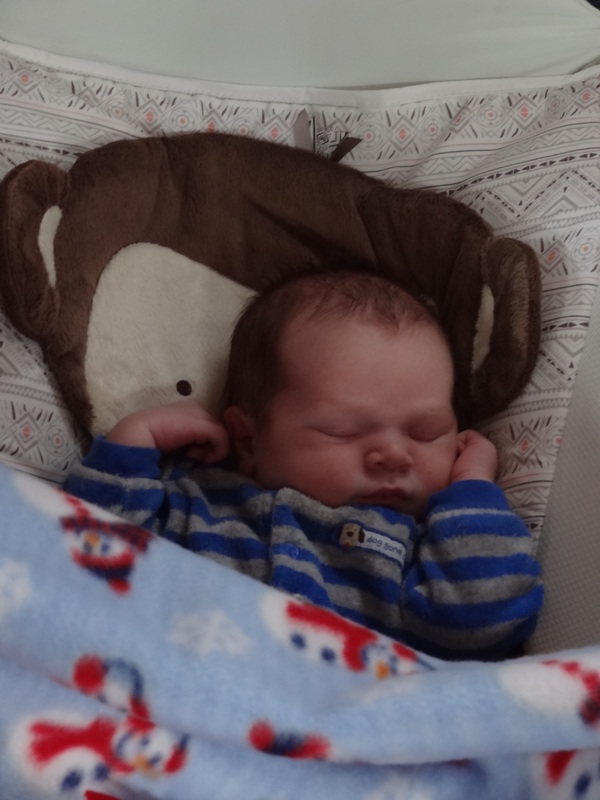 The fisher price rock n sleep is perfect for first mate to sleep in and hang out in. 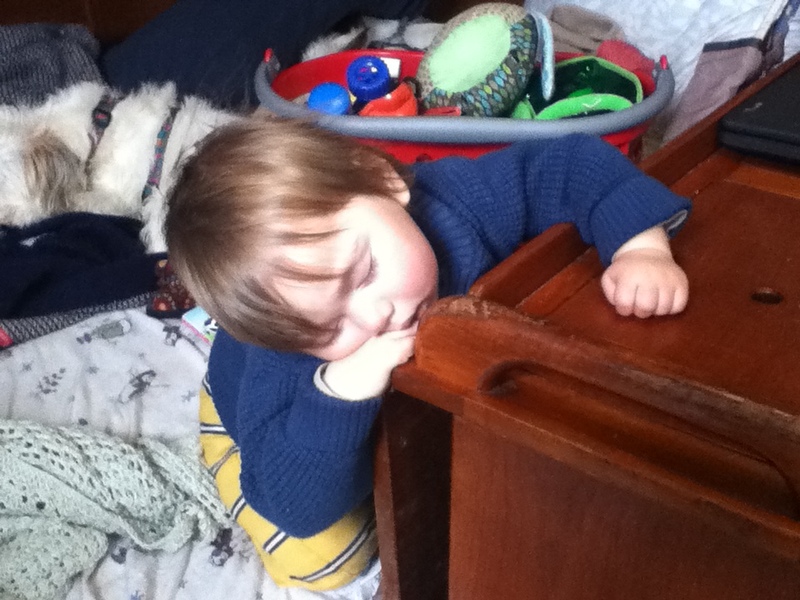 I love how the baby rests at an incline, the entire sleeper rocks, and it can fold up pretty compactly (and very easily). I purchased an older model at Target for $20 on clearance. The newer models have a vibrating option and music. There has been a lot of press about a recall due to mold in between the two bottom pieces of the sleeper. As long as you regularly wash the fabric piece and keep your eye on the bottom piece for mold, you will be ok. Fisher Price recommends cleaning the rocker with bleach, but I use a vinegar and hydrogen peroxide solution (the same solution I use for removing mold off the boat), and it works just fine. I did have big plans for using a hammock for first mates sleeping solution. I presented my plans to Capt’n and he made a hammock for first mate. However, it was a lot bulkier than I had suggested in my plans and a lot more cumbersome to set up, so we don’t use it. But if you can make/buy a hammock, that would be a great sleeping option as well. 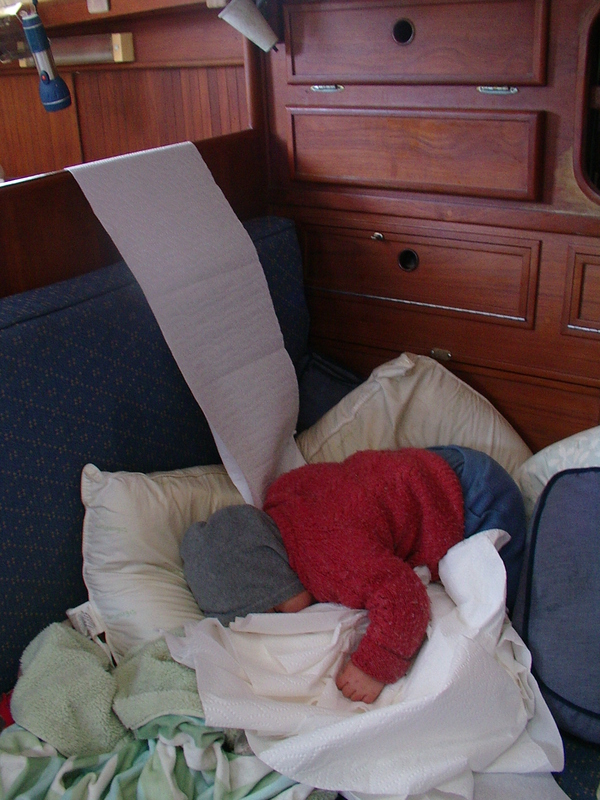 First mate sleeps in the main cabin in the sailboat. We pull out the couch to make a full size bed and he sleep in the sleeper in the bed. So far so good. I spent months looking for the perfect swing for first mate. The swing had to be durable, comfortable, and portable. Although this model may not be the perfect one out there, it certainly suits our needs. I love how this swing can lock and become a bouncer. 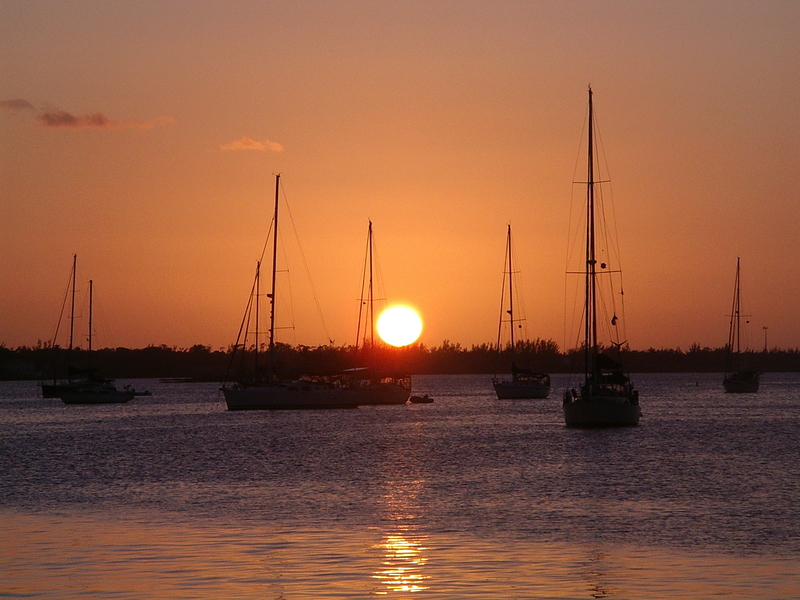 Any item that serves multiple functions is great to have on a sailboat! I will say that I do get annoyed having to take out and put away the swing every time I want to use it. Maybe that is just highlighting my laziness more than anything. The swing/bouncer is lovely for when first mate is awake and doesn’t want to lie down in his sleeper, but when I.need to put him down somewhere. I love these blankets so much! I love the large size of the blankets. I love the multifunctionality of these blankets. I use them for swaddling, for changing diapers, for nursing, and for laying on the ground when we are hanging out outside. I also love the breathability of these blankets. First mate loves to put blankets over his head. I don’t have to be too concerned when he decides to put these muslin blankets over his face because he can breathe through them. Now of course I don’t leave the blanket on his head, but at least I don’t have to be paranoid about it. There are probably many other brands of large muslin swaddle blankets, but Aiden and Anis are the only ones I own and can comment on. What a great invention. 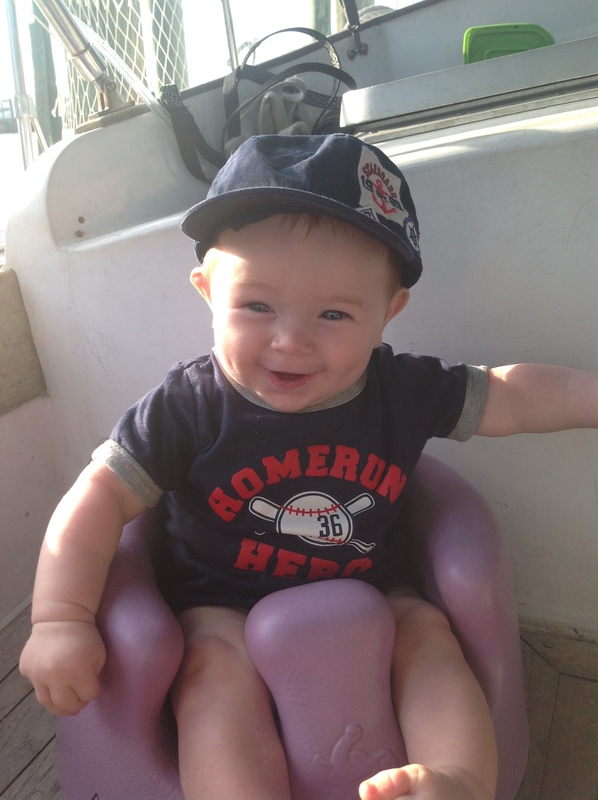 The Bumbo is a great piece to add to your infant boat supplies. Yes it is a bit bulky, but it is still a manageable size. 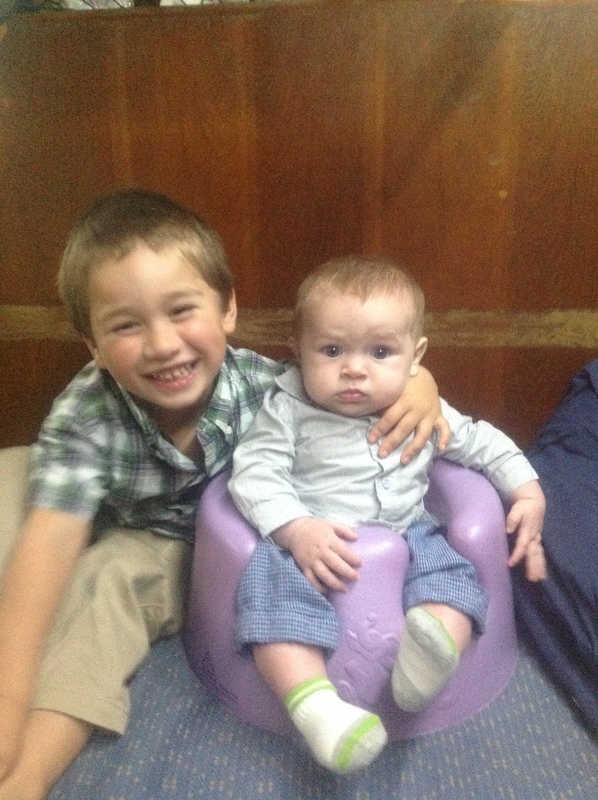 The Bumbo is great for an assisted sitter (that first mate is already!). 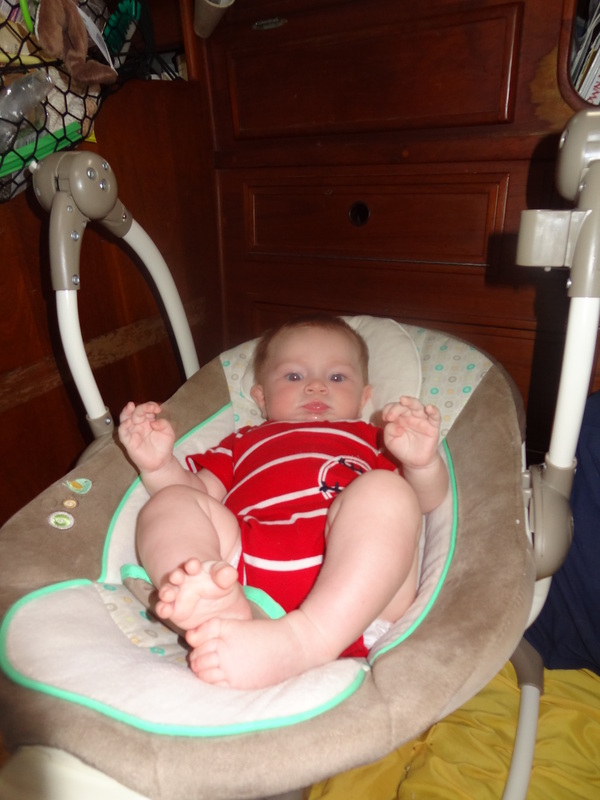 It allows them to sit up and view the world from a different perspective, as well as strengthening their muscles. 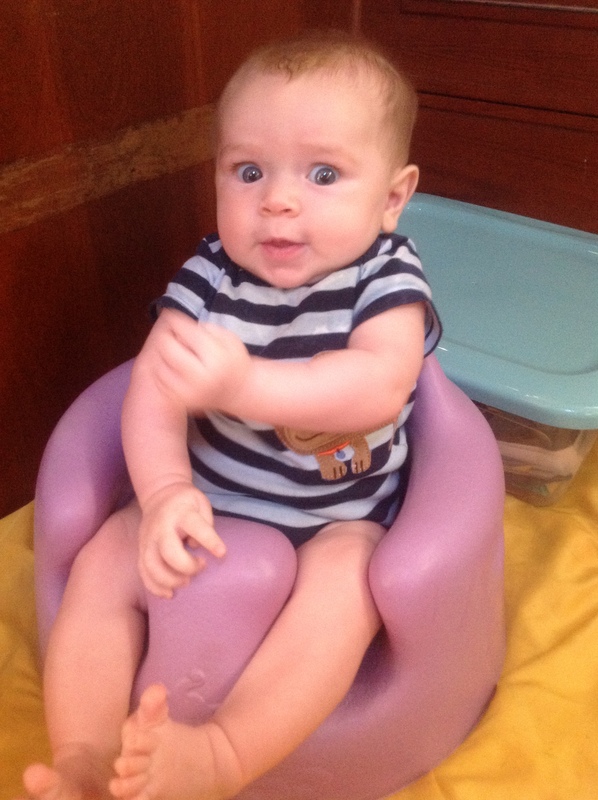 The Bumbo also offers a tray attachment that I am sure will be good to have once First Mate starts eating solid food. Bumbos are also fairly reasonably priced. I actually bought a used Bumbo at a thrift store for $5.00. It did not come with a seatbelt (all Bumbos come with seat belts now), but I was able to contact Bumbo and they sent me a seatbelt attachment free of charge. 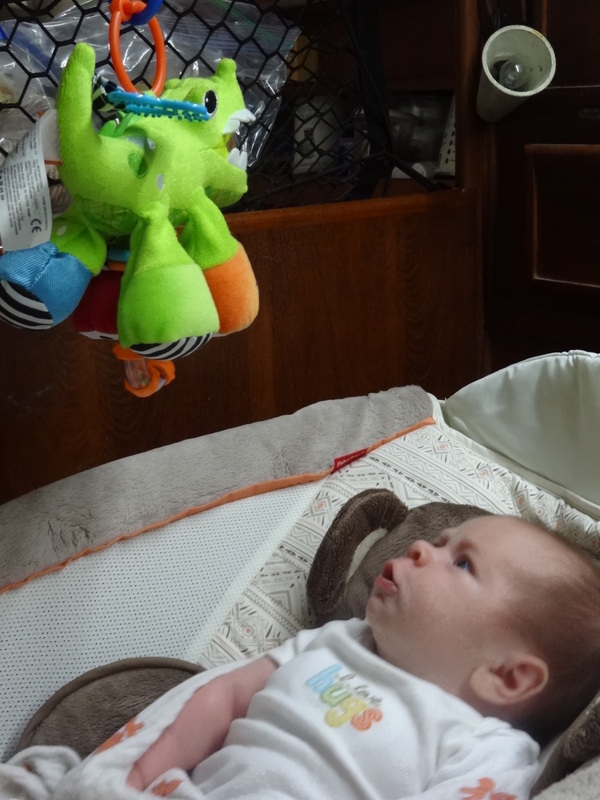 I love being able to hang toys from the ceiling for First Mate to play with or look at. Hanging toys from the ceiling saves space, and you don’t have to buy a separate activity mat or mobile. And sailboats have many places to hang items (and in this case, toys). 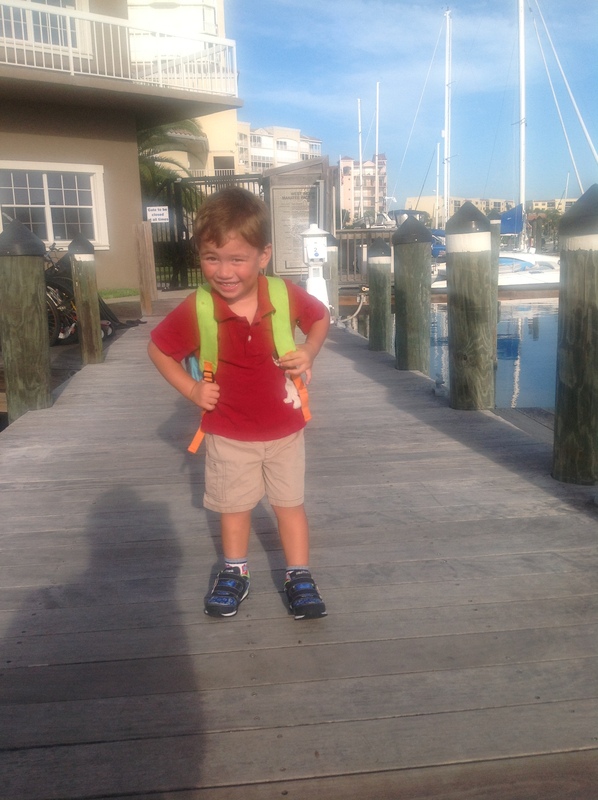 Maybe it is just my personality, living on a boat, or having two children, but I do not like dressing First Mate. It takes me ages and those are valuable minutes I could be doing other things. Also, living in Florida during the winter and spring months, the temperature can be 50 degrees at night and in the morning, and 90 degrees by afternoon. I for one do not want to change First Mate 10 times a day if I don’t have too. And now along comes onesies and baby leggings. I love these. You will see First Mate in them every day. I put leggings and socks on First Mate in the morning and at night time, and take them off during the day. 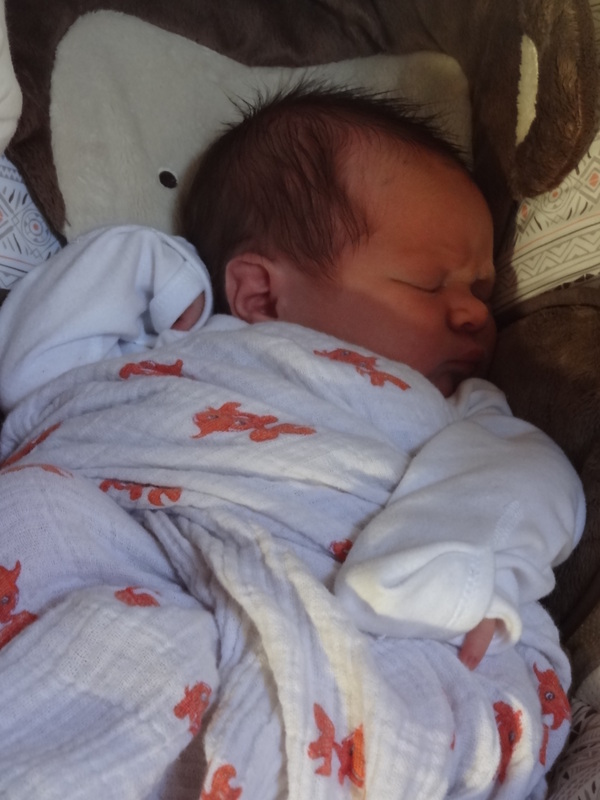 It also makes for a sure easy diaper change because I don’t have to take any clothes off – I just have to unsnap the onesie. Perfect outfit for a sailing baby. Imperative items for a sailing baby. Right now we have baby banz for First Mate. 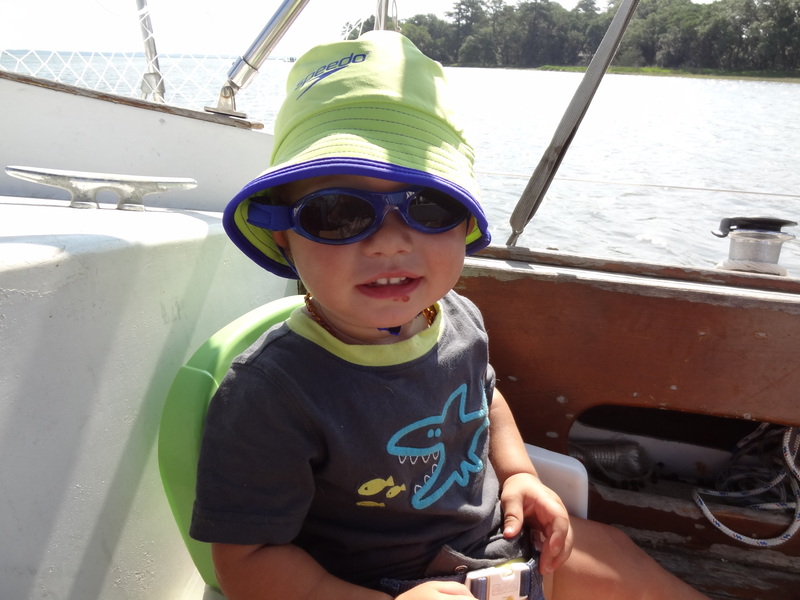 We also have about 10 different hats for First Mate. Some are baseball cap style, some are wide brimmed, some have clips that attach under the chin, some are waterproof. Basically, you can never have enough hats. I have two: a Moby and an Ergo. I love both. I love the Moby as there are many different positions you can put your baby in. I love how it fits on my shoulders. I do not love how long it takes me to put on. 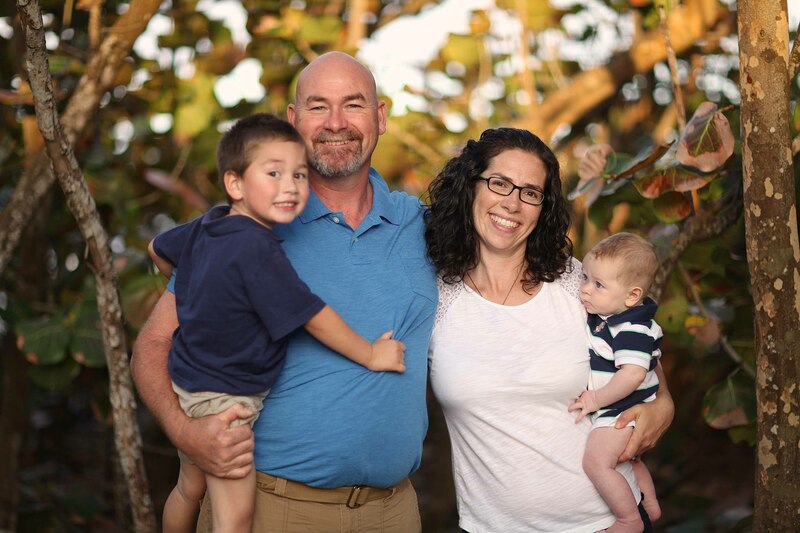 I didn’t mind the five minutes of preparation when I had only one child, but with a three year old, five minutes seems like an eternity. 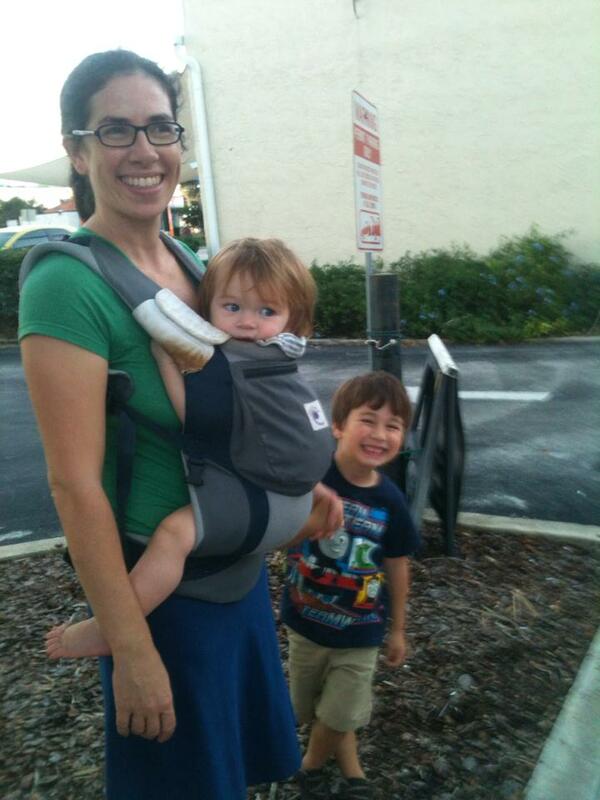 I don’t always have the luxury of putting on the Moby, so my go to baby carrier has been the Ergo. Don’t get me wrong, I also love the Ergo. I love the ease of putting it on. I love the ease of putting First Mate in and out of the carrier. I love how you can put the baby on your back using the Ergo (but First Mate it too small for that right now). Having First Mate in a carrier is a must when getting on and off the boat. It is also really handy when I go out with Capt’n in Training to the park or for a walk with the dogs. 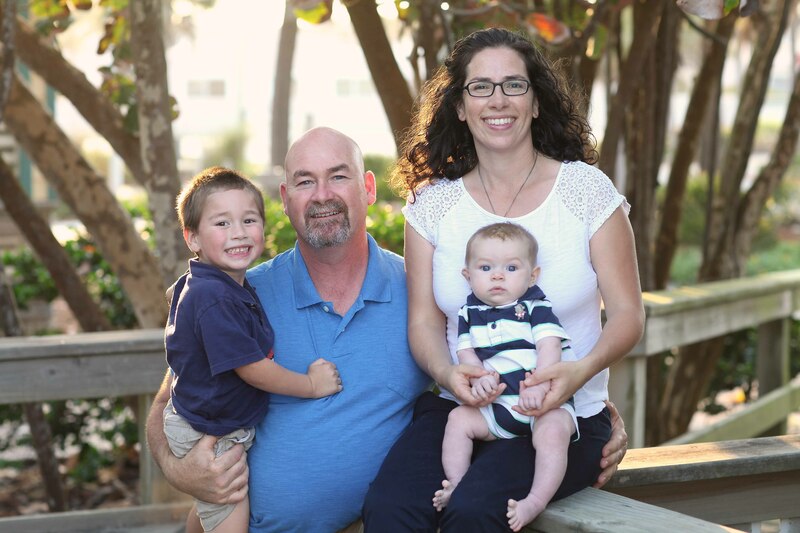 So here is my list of items that I love using for my newborn/infant while living on a sailboat. Enjoy!